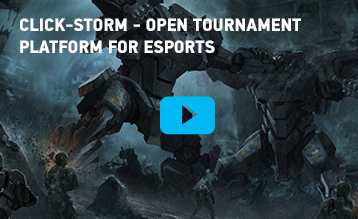 On 17th and 18th of December Click-Storm held eSports festival "Cyberiade 2016" in Innopolis. That's the brand new IT-city near Kazan, Russia. We managed to gather over 1500 visitors from ten nearby cities and ran over 10 simultaneous eSports tournaments. For the first time we brought players by free buses from four selected cities to compete in the finals of DOTA 2, FIFA17, Counter-Strike, League of Legends, Battlerite and Hearthstone. Overall prize fund - 150 000 rubles and gear from sponsors: Plantronics, Red Bull, GIGABYTE, TP-Link and Wacom. 2 place - Team 321321. 3 place - Mad Rockets. 1 place - Sniper Squad. 2 place - saY hello!. 2 place - Alexander Emelin. 4 place - hi im Uchiha.